Serving Ventura County for 85 years! 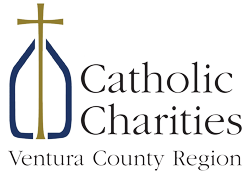 Catholic Charities has been providing services in Ventura County since 1926. Partnering with other public and private agencies in the area, we work to meet the social service needs of our most poor and vulnerable neighbors. The most prominent services throughout the county include basic needs assistance through programs that help prevent homelessness by subsidizing rental and utilities’ payments. Donations from the community provide a continual supply of food and other essential life items, including clothing and hygiene products. Programs also perform outreach to the elderly and offer two licensed after-school programs for children. Read more on the official website.